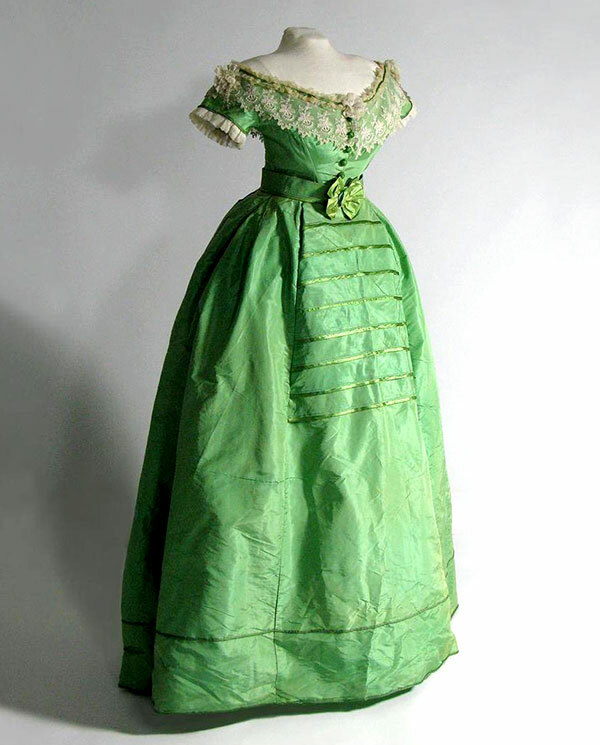 Transport yourself back to the 19th century where beautiful outfits fashioned by seamstresses and shoemakers supplied the privileged with enviable ensembles. Swathed from head to toe in expensive garments and shod in delicate footwear, fashion-forward women graced the boulevards and the ballrooms with their colorful presence. 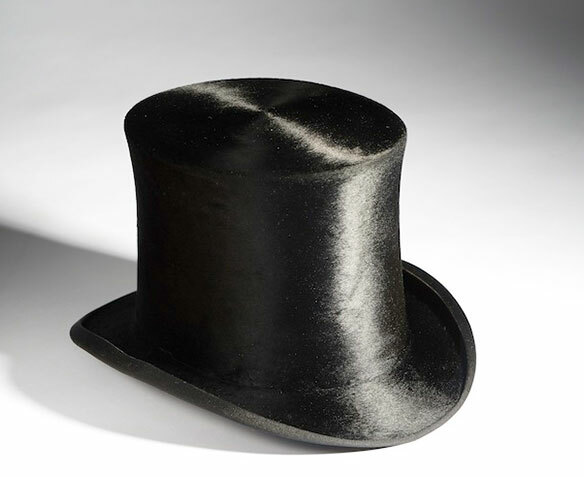 Their tailored male companions cut equally refined figures in their black coats, spotless white linens, lustrous top hats and shiny boots. 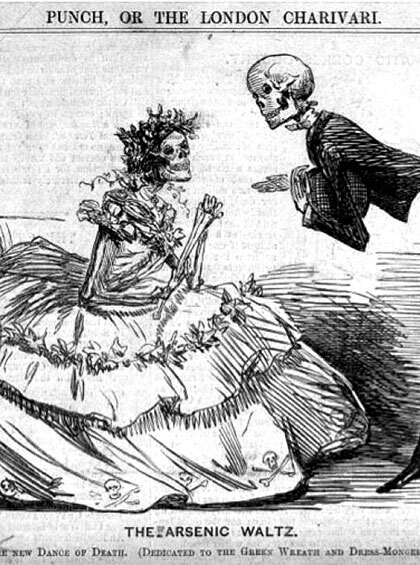 Yet presenting an elegant exterior was not without its perils … the Victorians suffered for their brilliant arsenic gowns and flammable crinolines. 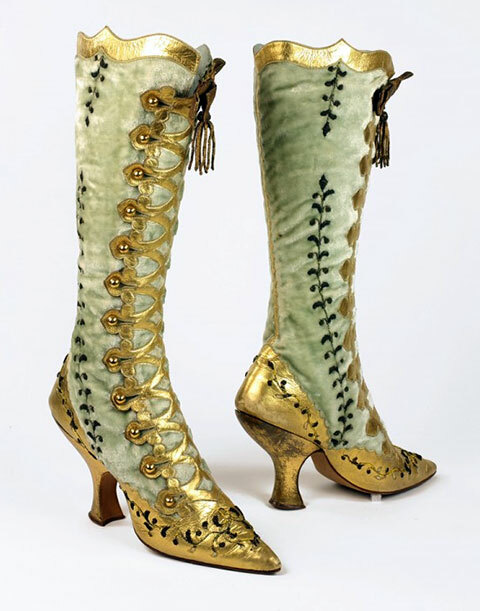 The discomfort of constricting corsets and impossibly narrow footwear was matched by the dangers of wearing articles of fashion dyed with poison-laced colors and made of highly flammable materials. 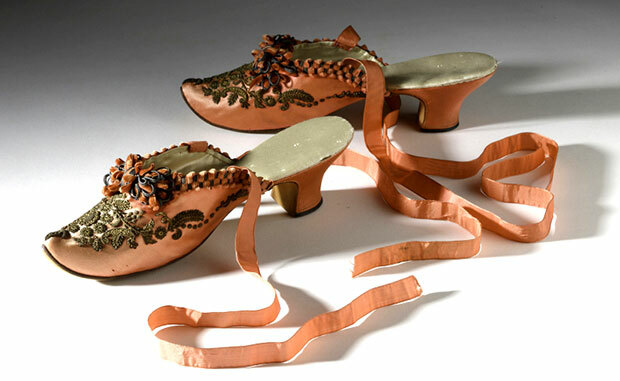 From the challenges faced by those who produced fashionable dress to the risks taken by those who wore it, the Bata Shoe Museum exhibition, Fashion Victims: The Pleasures & Perils of Dress in the 19th Century, provides thought provoking insights into what it means to be a fashion victim. 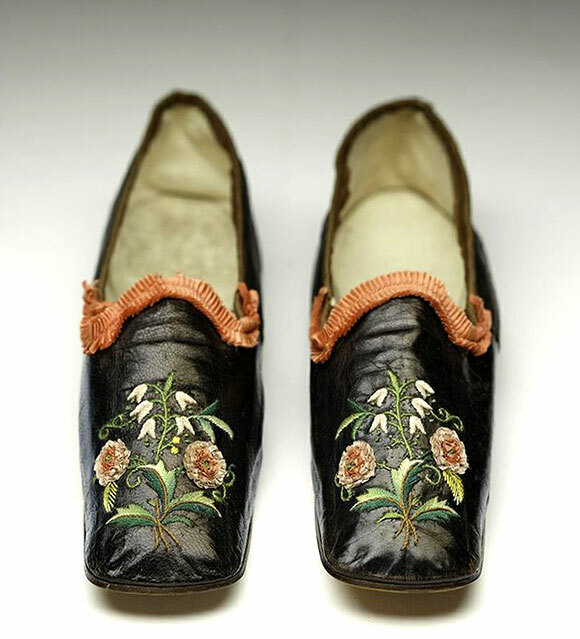 Curated by Elizabeth Semmelhack, Senior Curator, Bata Shoe Museum and Dr. Alison Matthews David, Associate Professor, Ryerson University and building on Dr. Matthews David’s research into the dangers of dress in the 19th century, this exhibition explores a wide variety of pleasures and perils associated with fashion. 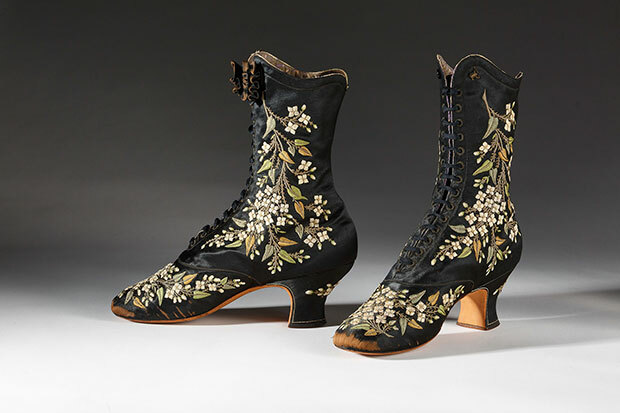 In addition to highlighting exquisite examples of footwear and clothing from the 19th century, the exhibition also explores many of the often untold stories related to fashion and its production. 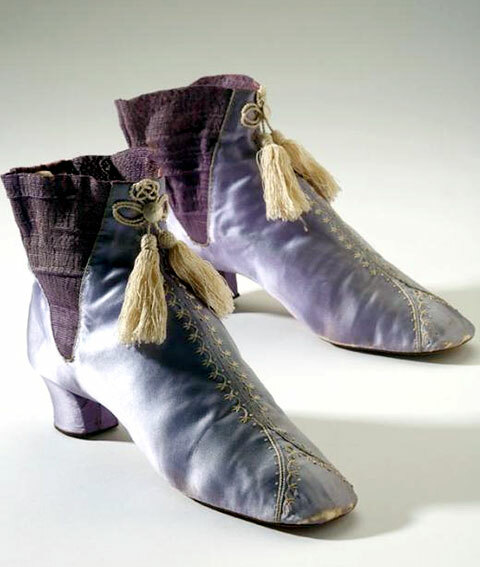 Included in the exhibition are the dangers of dresses and shoes dyed arsenic green, the plight of mad hatters and mercury poisoning as well as the effects of constricting corsets and impossibly narrow footwear. 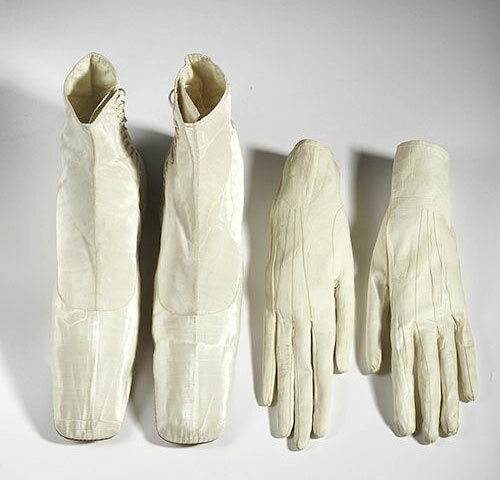 The exhibition also looks at shifts in the making of fashion from independent craft to fragmented labor completed in garrets or on factory floors. 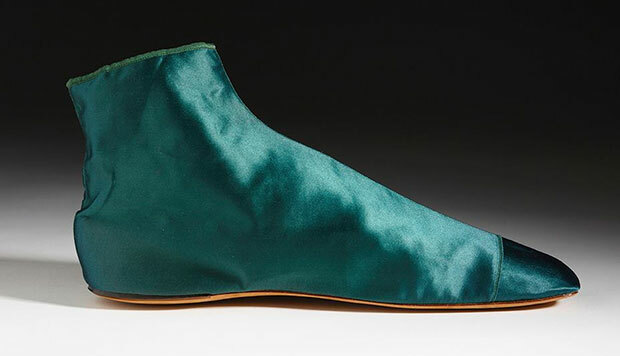 The move from traditional shoemaking to factory-made footwear is also emphasized as is the role of those workers who were integral to the presentation of the fashionable figure from the seamstress to the shoeshine boy. Featuring over ninety artifacts from the Bata Shoe Museum’s extensive holdings augmented by loans from private collections the exhibition highlights dresses that span the century, mauve-hued footwear dyed with the first coal tar colors invented in 1856, beautiful hand-embroidered boots manufactured by the exclusive Parisian shoemaking firm of Francois Pinet, impossibly narrow Adelaide boots and gloves worn by Empress Elisabeth of Austria and a corset with a sixteen-inch waist from the Cleaver/Suddon collection. Fashion Victims: The Pleasures & Perils of Dress in the 19th Century will be on view until June 2016. For more information, visit www.batashoemuseum.ca.